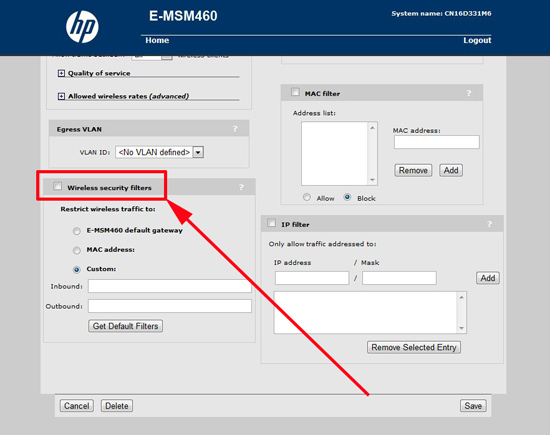 You have an HP HP E-Series Mobility E-MSM460, 466 & 430 Access Point, and you cannot access resources on your local LAN (though internet access works fine). This is default "Out of the box" behavior, a lot of consumers want to provide wireless access but DONT want the wireless clients having access to their local servers. That’s fine but what if you do? 1. Log into the web management console of the access point, select VSC (Virtual Service Communities) > Locate your wireless VSC and click its name. 2. 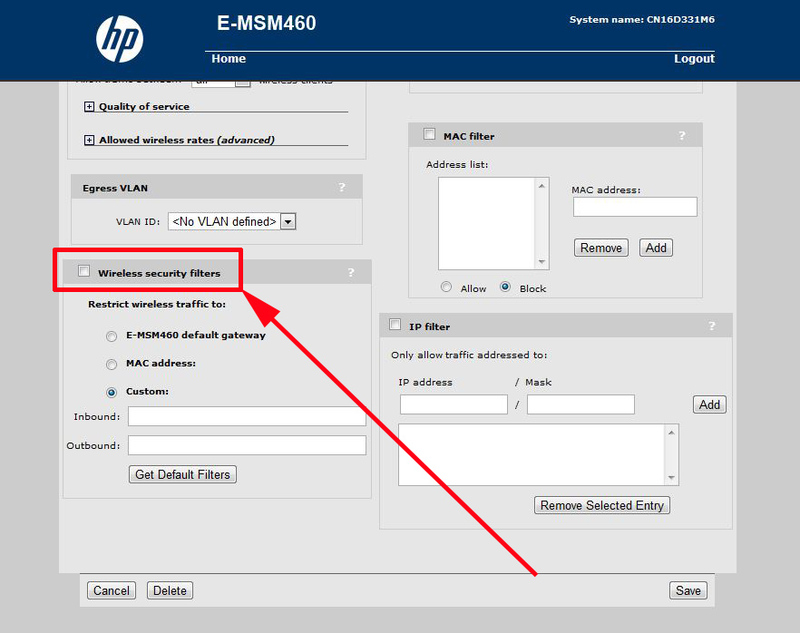 Scroll to the bottom of the page, Locate the "Wireless security filters" section. Make sure this section is NOT enabled (un-ticked), then click save.